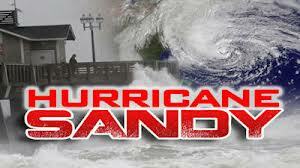 As part of the administration’s efforts to bring all available resources to bear to support state and local partners impacted by Hurricane Sandy, the IRS is postponing the filing date until Feb. 1, 2013, for some small tax-exempt organizations affected by Hurricane Sandy to take advantage of transitional relief when applying for reinstatement of their exempt status. To be eligible for the Feb. 1 deadline, described in Notice 2012-71, the organization’s principal place of business must be located in the covered disaster area, or records necessary to meet the application deadline must be maintained in the covered disaster area. If an eligible organization files its application for exemption on or before Feb. 1, 2013, it will be treated as if it had been timely filed on Dec. 31, 2012. Organizations located outside the affected areas must apply for transitional relief by Dec. 31, 2012. Organizations located outside of the affected area that think they may qualify for the relief described in Notice 2012-71 will need to contact the IRS.